We have fresh boneless, skinless chicken breast in our meat case. We occasionally have fresh whole or cut chickens. We typically have frozen cut chickens because we use these for our meat boxes. We also have 5# bags of frozen chicken wings. 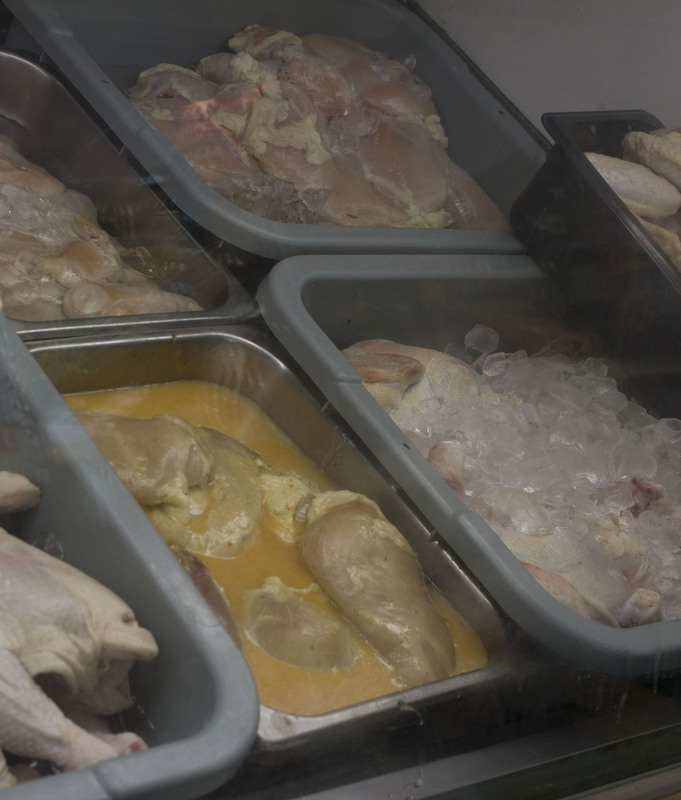 We can get large quantities of any type of chicken to fill your needs. Order a duck or two for from us your next special event. Special order your Thanksgiving or Christmas turkey from us. We order in fresh, never frozen turkeys for the holiday. Turkeys must be pre-ordered.